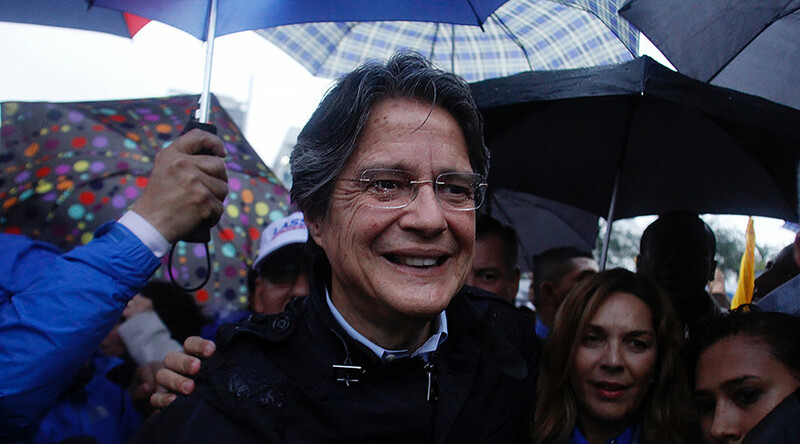 Following a close presidential runoff in Ecuador, the nation’s media regulator has imposed fines on a total of seven media outlets for failing to publish a story about opposition candidate Guillermo Lasso, who lost by a narrow margin. “It is an act of censorship designed to give the government the role of editor of all media, deciding what to publish or not,”said Cesar Ricaurte, director of the Fundamedios organization that advocates for freedom of the press. The scandal centers on an article published on March 15, 2017, before the presidential runoff, in the Argentine newspaper Pagina 12 entitled, “Lasso: Offshore tycoon.” The article alleged that Lasso was involved in a tax evasion scheme in the Cayman Islands, Panama, and Delaware. However, the accusations contained within the article were made without any citation, documentary evidence, and without asking Lasso for comment, reports Ecuador Inmediato. Supercom, Ecuador’s media regulator, imposed fines of roughly $3,750 (£3,000) on publishers El Comercio, La Hora, Expreso, and El Universo, as well as television channels Televicentro, Teleamazonas, and Ecuavisa. “The media has the obligation to cover and spread facts that are in the public interest,” Supercom wrote on its Twitter account. “It would have been enough to begin an investigation about the Pagina 12 article and later verify the claims made to then decide whether or not to publish… In this case, the information was withheld from the citizenry, which constitutes pre-censorship,” said Carlos Ochoa, director of Supercom, as cited by Fundamedios. Fundamedios described the fines as a “media lynching” on Twitter. Incumbent President Rafael Correa introduced a law in 2013 that gives state officials the power to impose a variety of sanctions against media outlets. Valverde also cited Ecuador’s Code of Democracy, which explicitly states that the media may not interfere in the election process by publishing content that could be deemed as intrinsically biased for or against a given candidate during an election. El Comercio’s legal representatives also cited Article 22 of the communications law, which states that all information published by the media must be verified. The legal team maintains that the Ecuadorian press did not necessarily have the time to verify the claims made by Pagina 12. As part of his election platform, Lasso had promised to revoke the communications law if he became president. Lasso lost a close runoff to now President-elect Lenin Moreno, who himself has expressed reservations about the law. Moreno will take office on May 24. “I have asked that the matter be considered baseless,” Moreno said at a meeting of the Alianza Pais political party in Quito, as cited by El Comercio.